The Children's Clinic has a pediatric team of 18 doctors and 9 pediatric nurse practitioners. Dr. Candas joined the Children's Clinic in 1994 after completing his Pediatric residency training at Driscoll Children’s Hospital. He is a graduate of the University of Ankara Medical School and is board certified by the American Board of Pediatrics. He has served as Chairman of the Department of Pediatrics and Chief of Staff at Driscoll Children's Hospital. Dr. Candas continues serving in numerous quality improvement and assessment committees. He has also served as a board member of the Coastal Bend Blood Center since 2004. In August 2009, he was Selected to be the President of the The Children's Clinic. Dr. Candas is accepting new patients at the Alameda and Saratoga locations. Dr. Steve Oshman has practiced at The Children's Clinic since 1983. 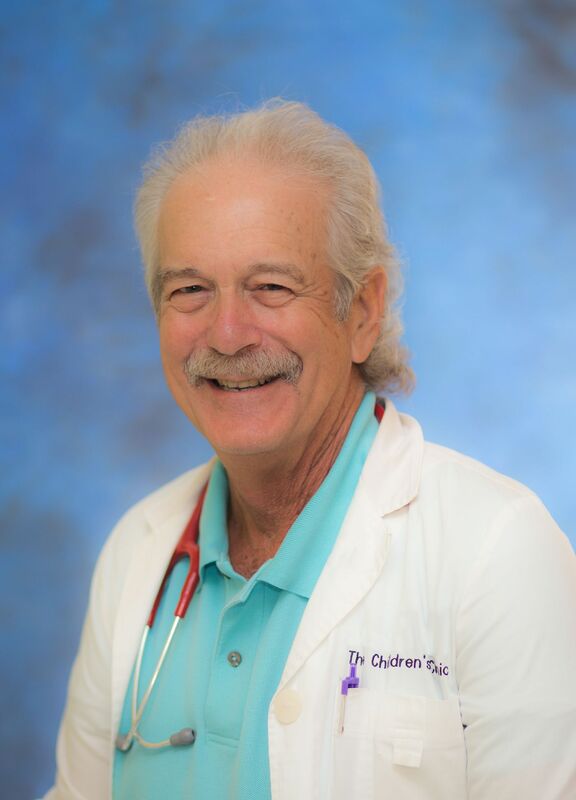 Dr. Oshman received his bachelor's degree from Southwest Texas State University and his medical degree from Texas Tech University Medical School. He completed his residency at the University of Texas Medical Branch in Galveston. Dr. Oshman is currently accepting new patients at Alameda and Five Points locations. Dr. Edgar Cortes has practiced with The Children's Clinic since 1976. 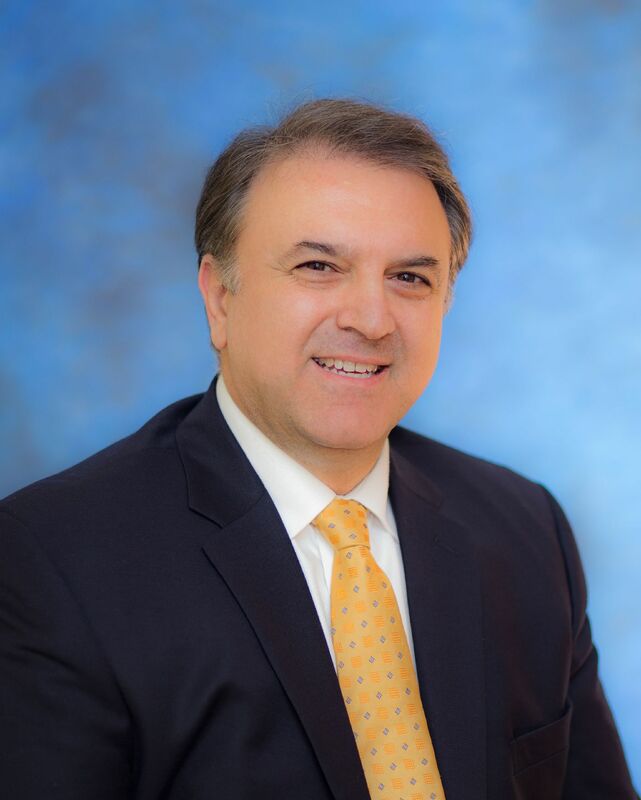 Dr. Cortes received his bachelor’s degree from the University of Houston and his medical degree from University of Texas Medical Branch in Galveston, Texas. He completed his residency at the United States Naval Hospital in Portsmouth, Virginia. 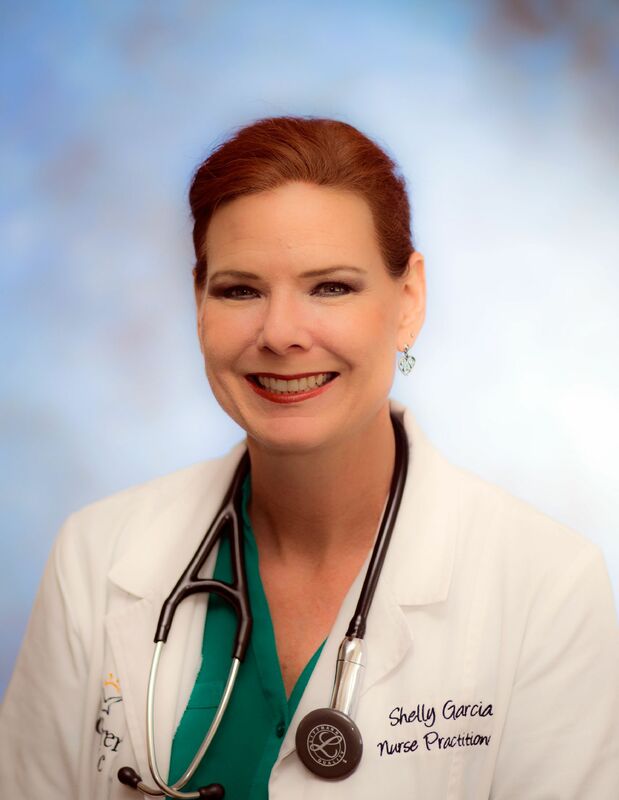 Dr. Cortes is certified by the American Board of Pediatrics and Sub-Board for Pediatric Emergency Medicine. He is married to Imelda Delgado and is the father of two children E. Richard Cortes and Lisa Cortes. Dr. Cortes is accepting new patients at the Alameda location. 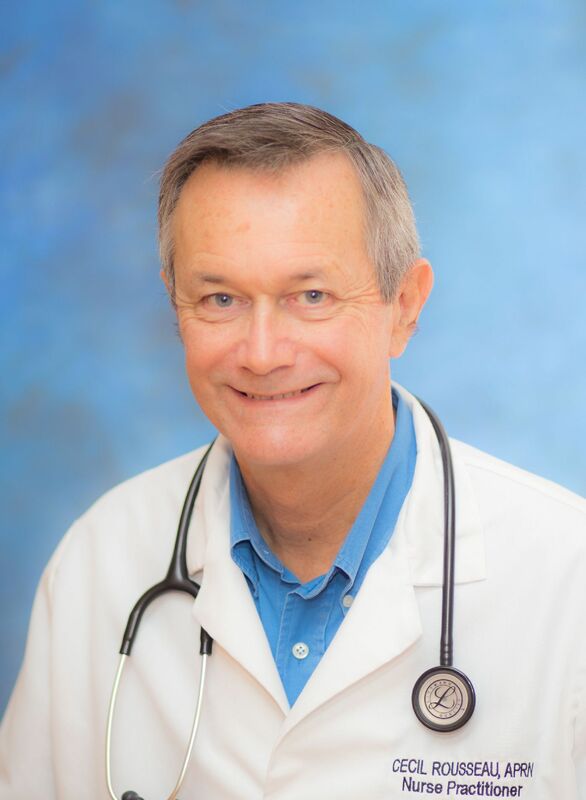 Dr. William Dirksen has practiced with The Children's Clinic since 1980. Dr. Dirksen received his bachelor’s degree from the University of South Dakota and his medical degree from Southern Illinois University School of Medicine. He completed his residency at Wilford Hall United States Air Force Medical Center at the Lackland Air Force Base, Texas. Dr. Dirksen is certified by the American Board of Pediatrics. Currently, Dr. Dirksen is the Chairman of the Residency Advisory Committee, Vice President of Medical Education and Pediatric Residency Program Director at Driscoll Children’s Hospital. He is married to Carol and is the father of 4 children and the grandfather of 7. Dr. Dirksen is accepting new patients at the Alameda location. 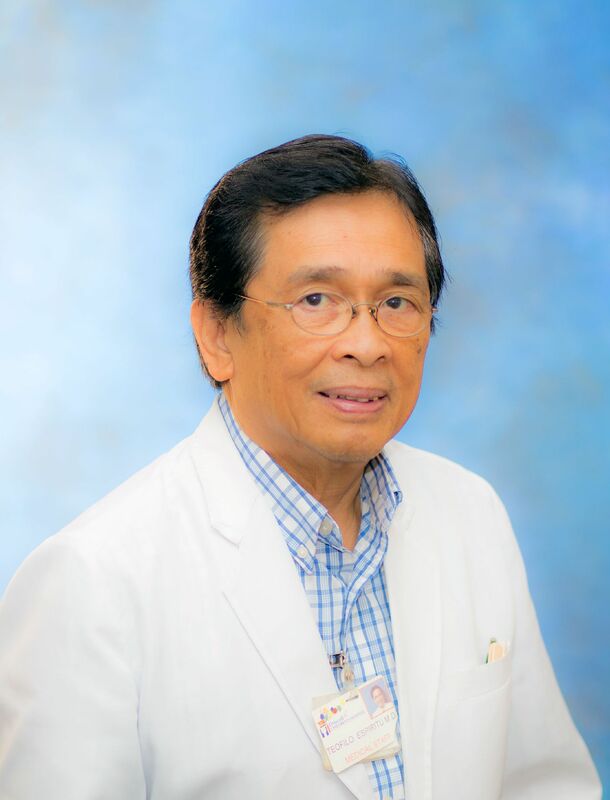 Dr. Espiritu has practiced with The Children's Clinic since 1992. Dr. Espiritu received his medical degree from Far Eastern University in Manilla, Phillippines. He completed his residency in Pediatrics at Driscoll Children’s Hospital in Corpus Christi, Texas. Dr. Espiritu is currently accepting new patients at the Children’s Clinic Saratoga location. Dr. Callegari-Puente joined the Children's Clinic after completing her pediatric residency training at Driscoll Children’s Hospital. She is Board certified by the American Board of Pediatrics. She is accepting new patients at our Alameda office. Dr. Debra Purcell has practiced with The Children's Clinic since 1994. 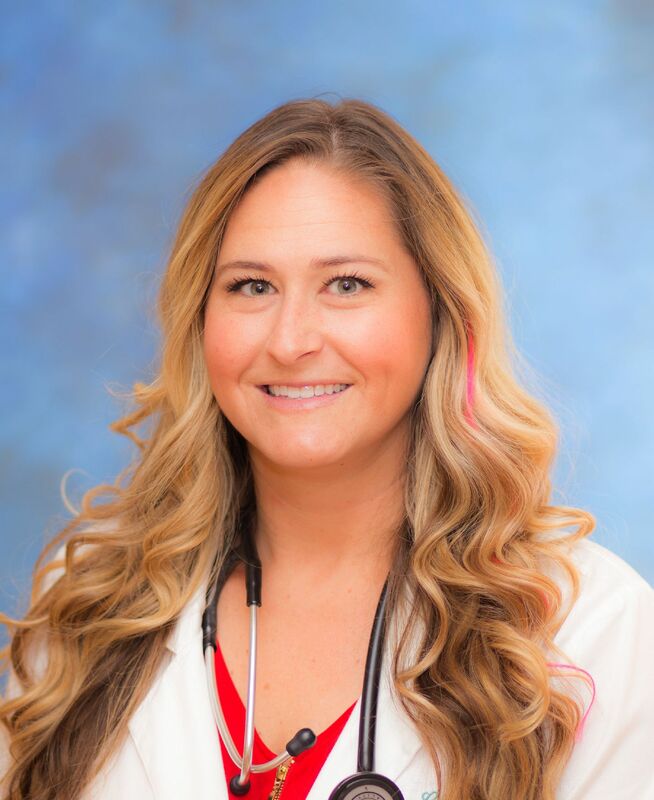 Dr. Purcell received her Bachelor’s Degree from the University of California, Irvine and her medical degree from the University of Texas Medical Branch in Galveston. She completed her residency at the University of Florida in Gainesville. Dr. Purcell is currently accepting new patients at the Alameda office. 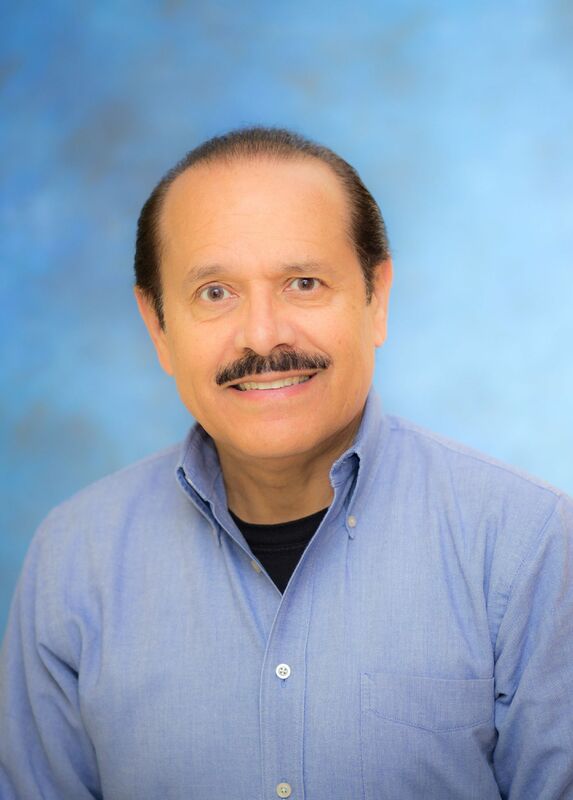 Dr. Walter Santiago was born and raised in New York City, graduated from high school from Fort Allen Naval Base, Puerto Rico, graduated from college in PR as an ASCP Board Certified Medical Technologist, then graduated form medical school in Ponce, PR ( a US accredited medical school). 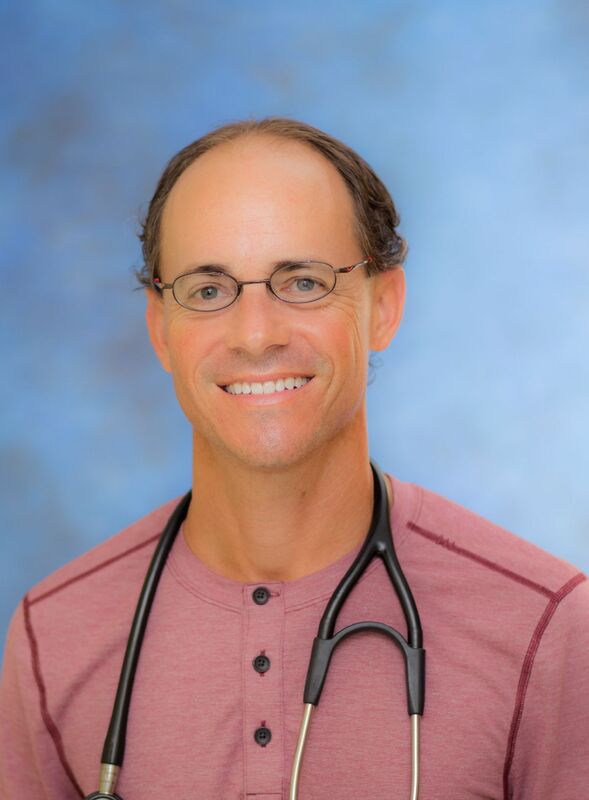 He did his pediatric residency with the Air Force at Keesler Medical Center, Biloxi, MS and served 12 years active duty as an Air Force pediatrician in the US and Europe. 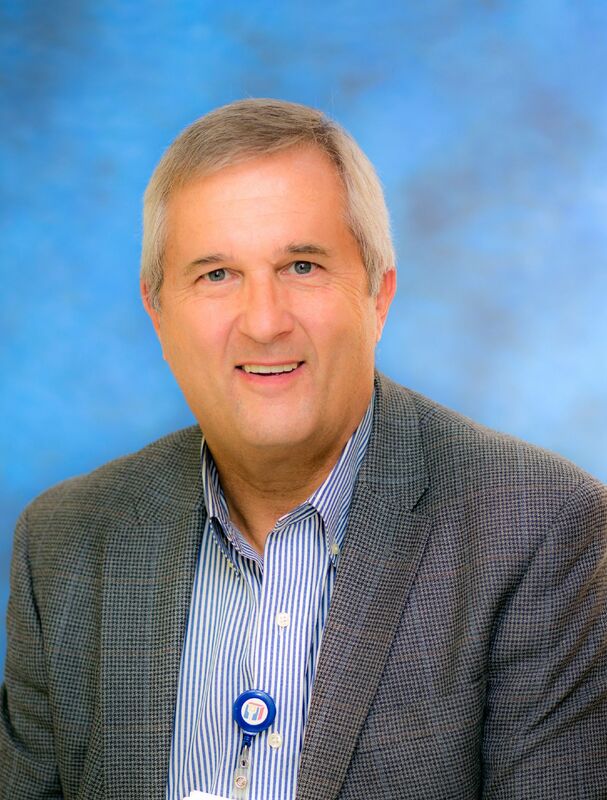 Upon separating from the Air Force, he served 2 years as Chief of Pediatrics for the Kings Daughters Clinic in Temple, Texas before coming to Corpus Christi to join our group. He has been with us over 12 years. He has one son. 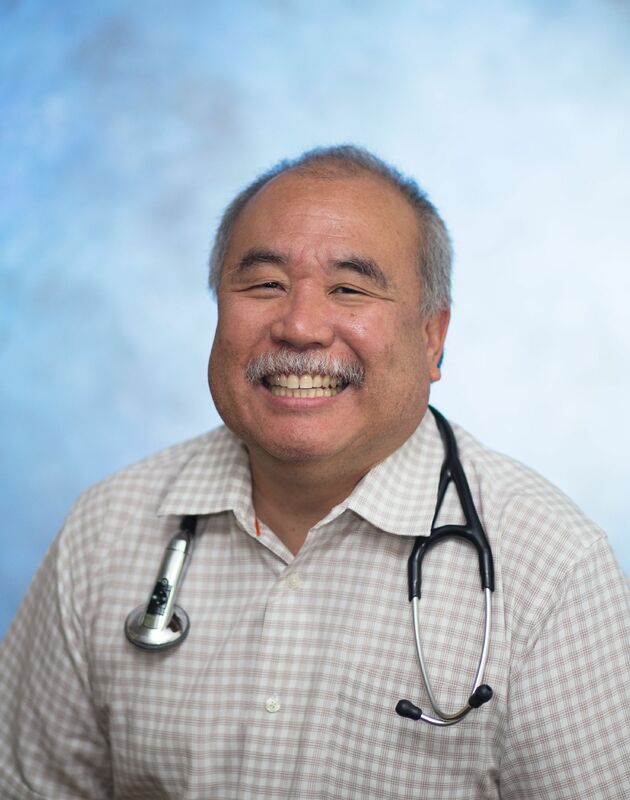 He is fluent in Spanish and is accepting new patients at our Alameda and Saratoga offices. Dr. Berenguer has practiced withThe Children's Clinic since 2000. Dr. Berenguer received his medical degree from the University de Monterrey in Monterrey, Nuevo Leon. He completed his residency at Driscoll Children’s Hospital in Corpus Christi. He is fluent in English and Spanish. Dr. Berenguer is currently accepting new patients at Alameda. 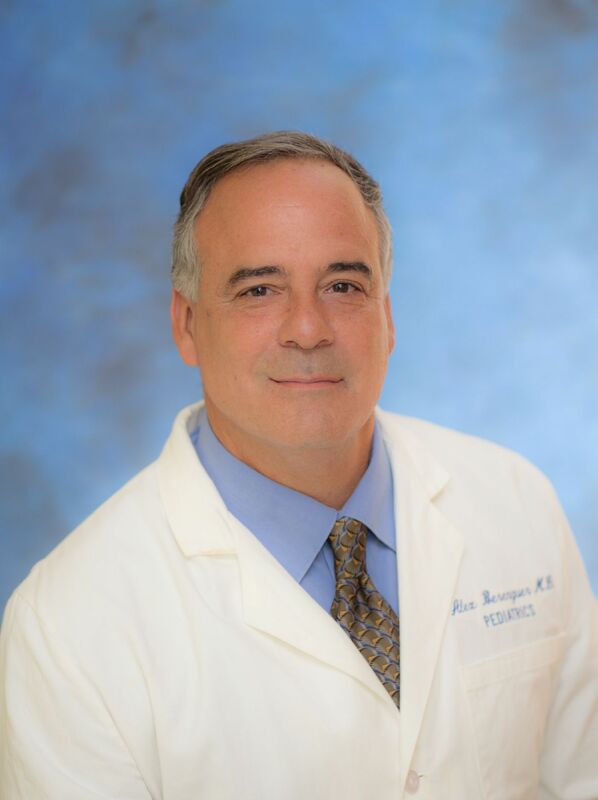 Dr. E. Richard Cortes has practiced with The Children's Clinic since 2001. 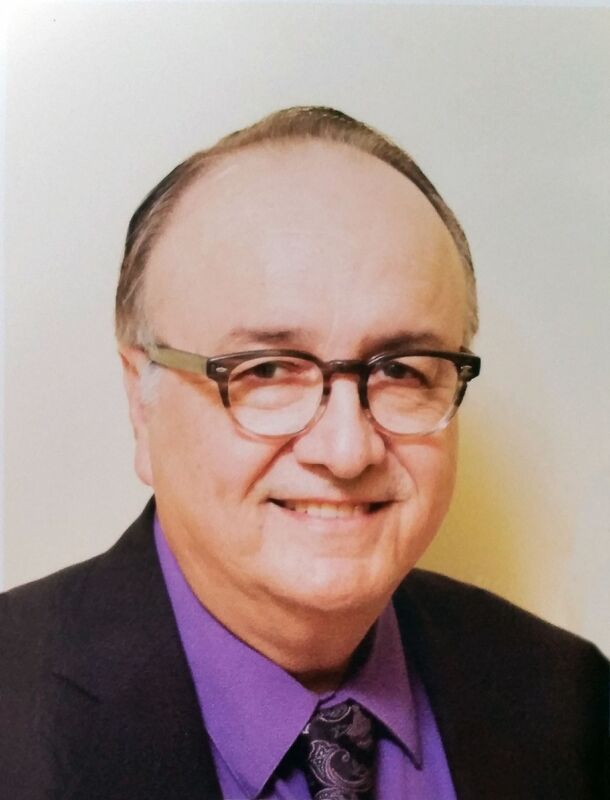 Dr. Cortes received his bachelor’s degree from Texas A&I University in Kingsville and his medical degree from the University of Texas Medical Branch in Galveston. He also completed his residency at the University of Texas Medical Branch. 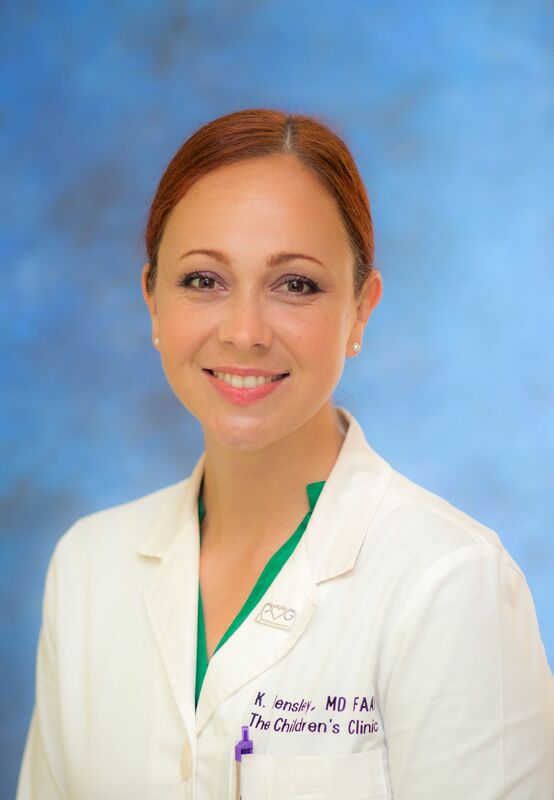 Dr. Cortes is certified by the American Board of Pediatrics. He is married to Suzanne and is the father of 3 children. Dr. Cortes is accepting new patients at the Alameda and Portland locations. Dr. David Dohi has practiced with The Children's Clinic since 2007. Dr. Dohi received his bachelor’s degree from Yale University in New Haven and his medical degree from the Texas College of Osteopathic Medicine at the University of North Texas Health Science Center in Forth Worth. He completed his residency at Driscoll Children’s Hospital in Corpus Christi, Texas. Dr. Dohi is currently accepting new patients at the Alameda and Five Points locations. Dr. Etuknwa comes to The Children's Clinic with 13 years of experience in pediatrics medicine. 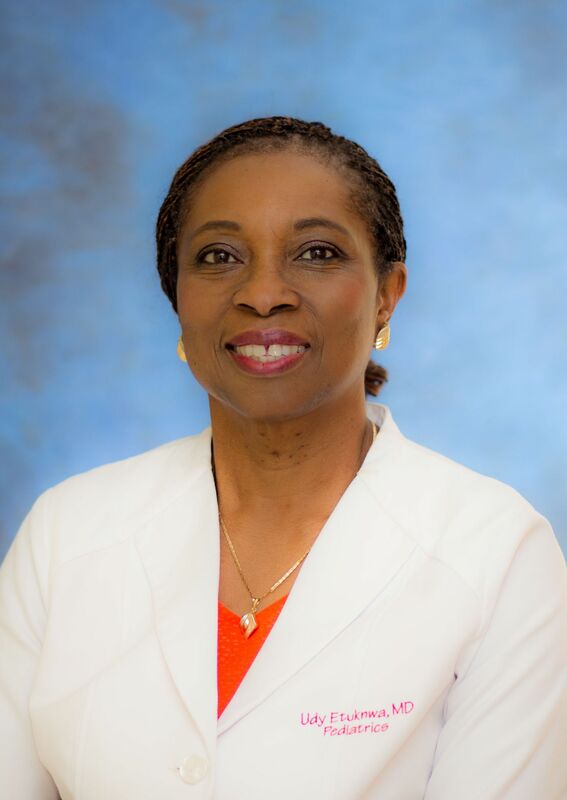 Dr. Etuknwa received her medical degree from the University of lle-Ife, Oyo State Nigeria and completed her General Pediatrics Residency at Howard University Teaching Hospital in Washington, DC and Driscoll Children’s Hospital in Corpus Christi, Texas. Dr. Etuknwa is Board Certified by the American Academy of Pediatrics. Dr. Etuknwa is currently accepting new patients at the Alameda location. 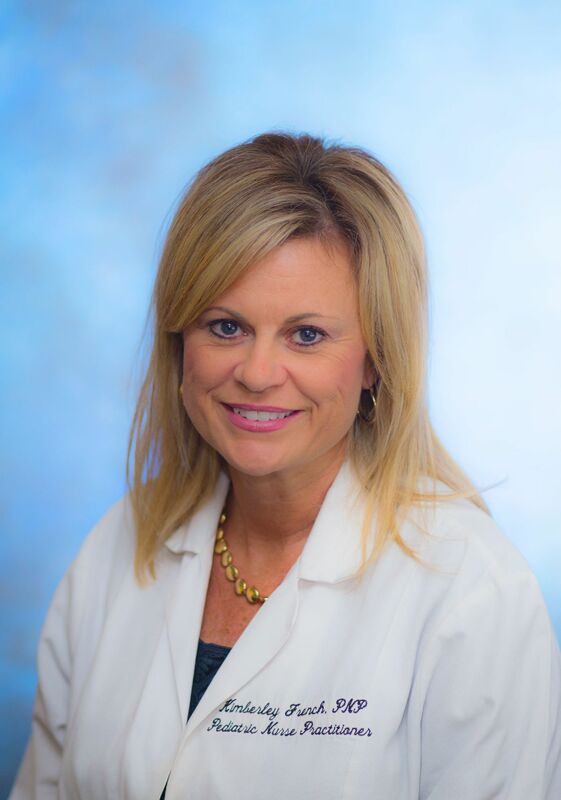 Dr. Hensley received her bachelor's degree from Centre College in Danville, KY and her medical degree from East Tennessee State University. She completed her residency at East Carolina University in North Carolina and stayed an additional year to serve as Chief Resident. She is certified by the American Board of Pediatrics. Dr. Hensley is married to her medical school sweetheart, Justin. They have two sons and two dogs. Dr. Hensley is accepting new patients at the Alameda and Saratoga locations. 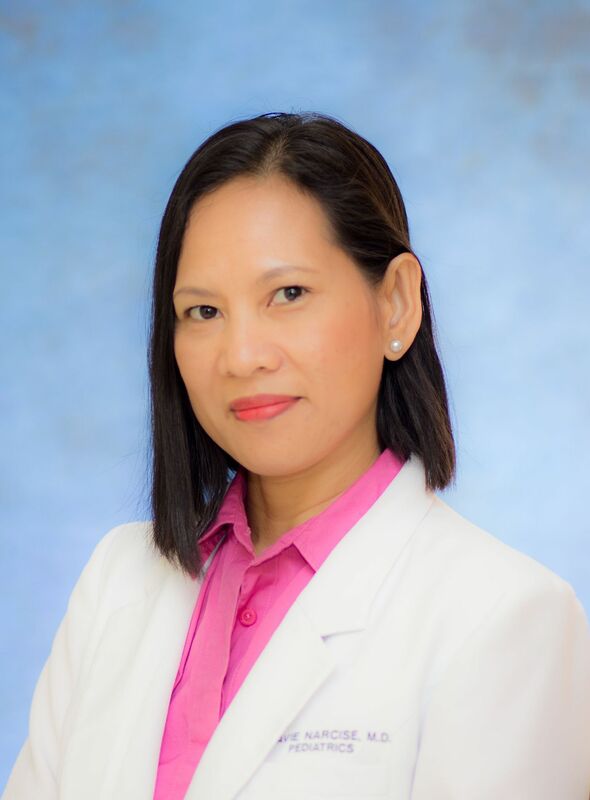 Dr. Mavie Narcise received her Bachelor of Science in Nursing degree from Saint Louis University, Baguio City, Philippines from which she also obtained her medical degree. She completed a general pediatrics residency at Ilocos Training and Regional Medical Center in San Fernando City, La Union, Philippines and a second pediatric residency training at Driscoll Children's Hospital in Corpus Christi, Texas. She is happily married to her childhood sweetheart, Aris. They are blessed with four children- Antonie, Aaron, Armand and Adrielle. Dr. Narcise is currently accepting new patients at the Alameda and Portland locations. Dr. Withycombe grew up in north Texas. She received her bachelor's degree from the University of Texas in Austin, TX and her medical degree from the University of Texas Medical Branch in Galveston, TX. She completed her residency in General Pediatrics at Baylor College of Medicine with training at Texas Children's Hospital in Houston, TX. She is married to her husband Wes and they have two boys. Dr. Withycombe is currently accepting new patients at the Alameda and Portland locations. 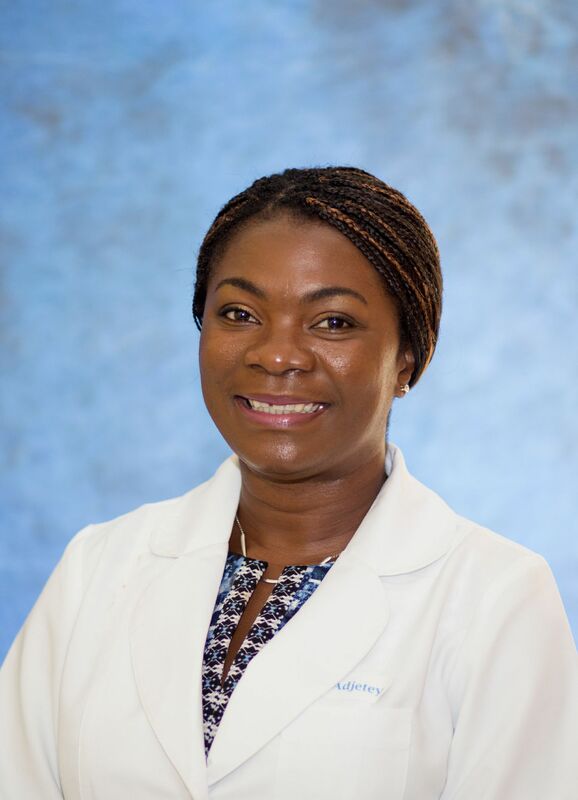 Dr. Adjetey obtained both her Bachelor's Degree in Human Biology and her medical degree from the School of Medical Sciences in Kumasi, Ghana. She then completed a Pediatric Residency with Driscoll Children's Hospital, Corpus Christi, Texas where she also served as Chief Resident. She returns to Corpus Christi after 5 years of Practice as a Pediatrician in Junction City, Kansas. She is married to her medical school sweetheart Vincent and they have 2 children. She is board certified by the American Board of Pediatrics and is accepting new patients at the 5 points and Alameda locations. Dr. Cano grew up in El Salvador and was drawn to pediatrics after surviving cancer in childhood. 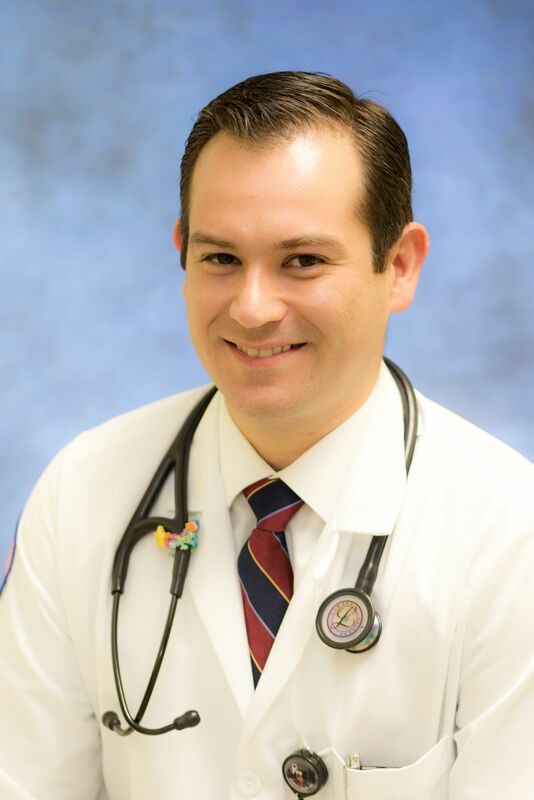 He received his medical degree from Dr. Jose Matias Delgado University in Antiguo Cuscatlan, La Libertad, El Salvador and completed his General Pediatrics Residency from the Texas A&M University program at Driscoll Children’s Hospital in Corpus Christi, Texas. He is married to Karen and they enjoy spending time outdoors and trying new foods. Dr. Cano is fluent in English and Spanish and is accepting new patients at our Alameda office. 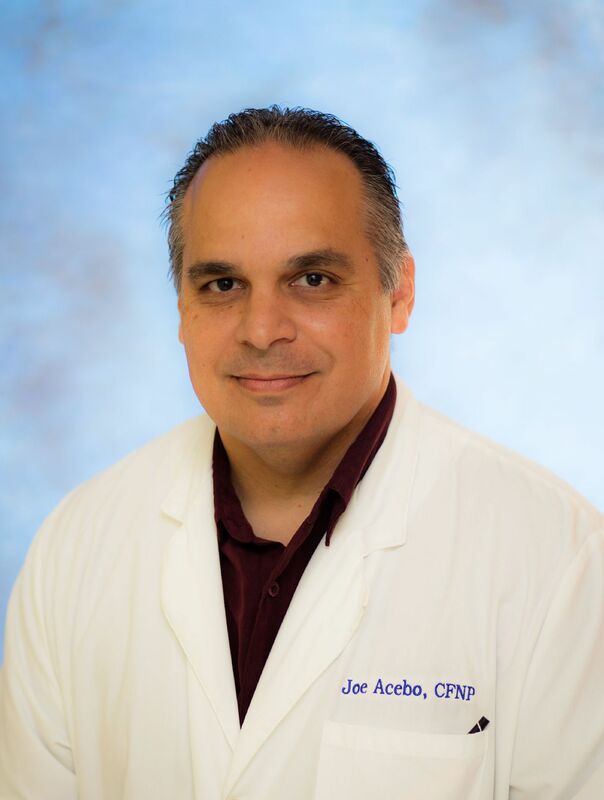 Jose Acebo has practiced with The Children's Clinic since 2000. Joe received his bachelor’s degree from the University of Texas at Austin and his master’s degree from Texas A&M University in Corpus Christi. He is a certified family nurse practitioner. Joe is married to Eva and is the father of 3 children. 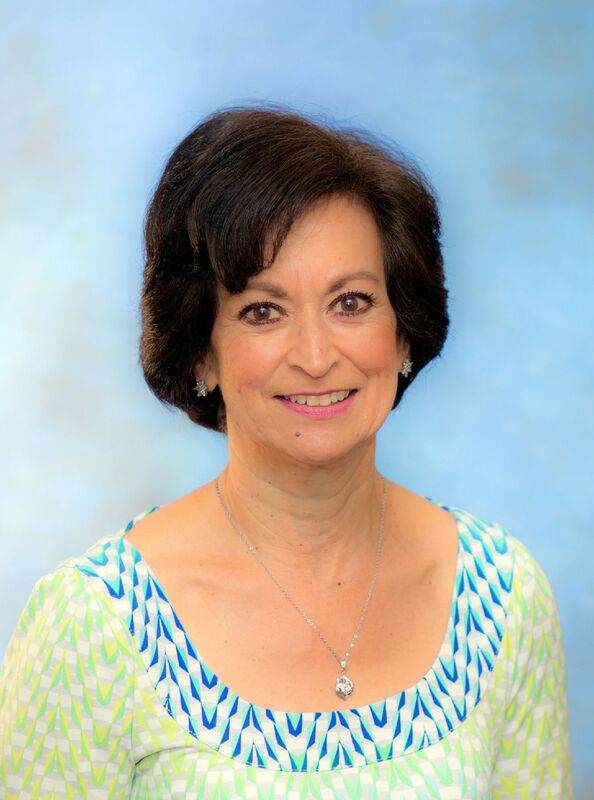 Laura Gonzales has practiced with The Children's Clinic since 2002. Laura received her bachelor’s and master’s degree from Texas A&M University in Corpus Christi, Texas. She is a certified family nurse practitioner. Laura has 2 children. Cecil Rousseau, Jr. M.S.N., R.N., C.F.N.P. Cecil Rousseau has practiced with The Children's Clinic since 2003. Cecil received his bachelor’s and master’s degrees from Texas A&M University in Corpus Christi, Texas. He is a certified family nurse practitioner. Cecil is married to Pat. Kimberley French has practiced with The Children's Clinic since 2004. Kimberley received her bachelor’s degree from Lamar University in Beaumont, Texas and her master’s degree from the University of Texas Medical Branch in Galveston. She is certified as a pediatric nurse practitioner by the Pediatric Nursing Certification Board (PNCB). Kimberley is married to Darren and has 3 children. 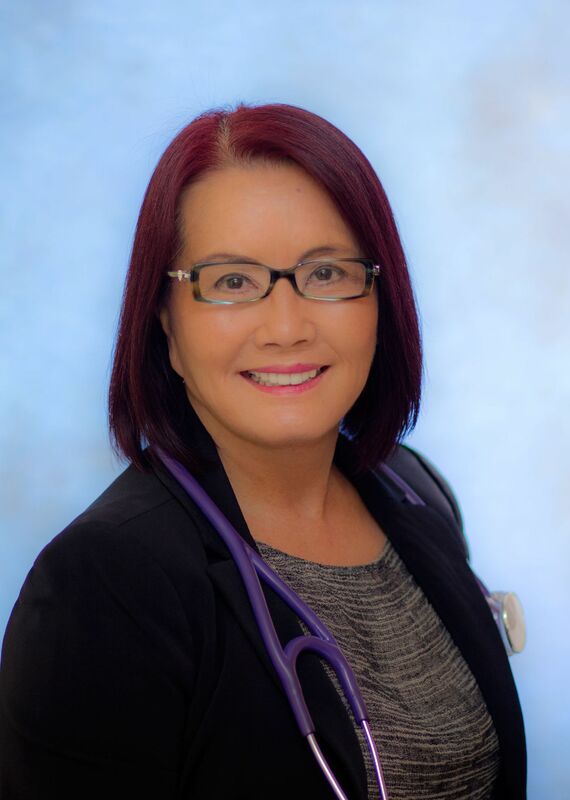 Leilany Ramos is a Nurse Practitioner certified by the Pediatric Nursing Certification Board (PNCB). She received her Pediatric Nurse Practitioner Post – Master’s Certificate from Kent State University in Ohio. She has her Master of Arts in Nursing from Concordia College, Manila and earned credit hours in Master in Management from the University of the Philippines. 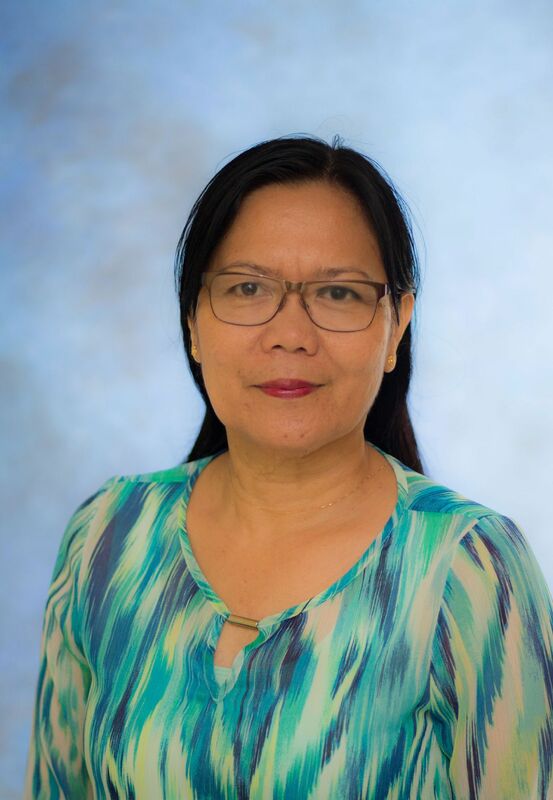 In the Philippines she was a military nurse specializing in pediatric nursing, then worked in Ohio as a Registered Nurse before moving to Texas. Prior to joining The Children's Clinic, she was with Driscoll Children’s Hospital as a Professional Practice Specialist. Connie Trice brings over 20 years of experience in the pediatric health care profession to The Children’s Clinic. She has taught at the University of Arizona, School of Nursing. She is certified as a Pediatric Nurse Practitioner through the Pediatric Nursing Certification Board (PNCB). She received her Bachelor’s, Master’s and PNP Certification from the University of California San Francisco, California. She is a member of the National Association of Pediatric Nurse Associates and Practitioners (NAPNAP). Connie treasures invaluable experiences from volunteering for humanitarian purposes and has had the opportunity to travel to foreign countries such as Mexico, Vietnam and Africa to provide healthcare to the under-privileged as well as study their culture and health care systems. 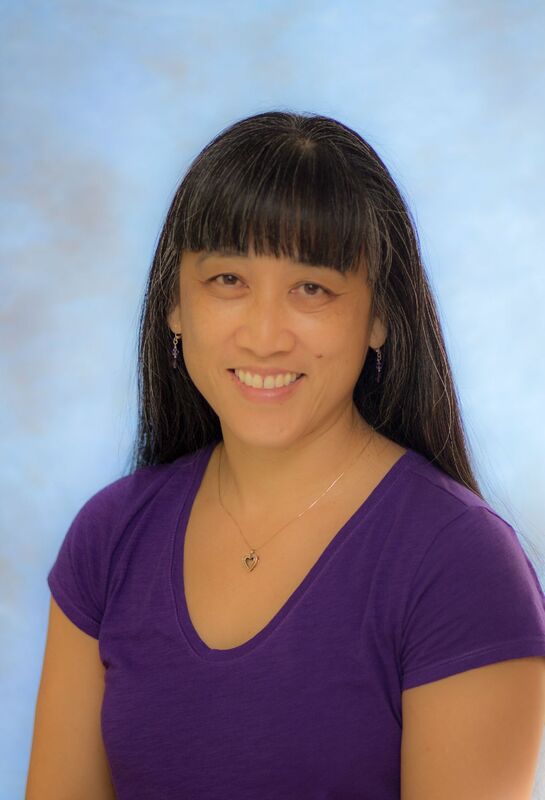 Her years of experience as a pediatric health care provider has deepened her appreciation of children’s developmental milestones regardless of their different ethnic backgrounds. Shelly Garcia has practiced with The Children’s Clinic since 2015. 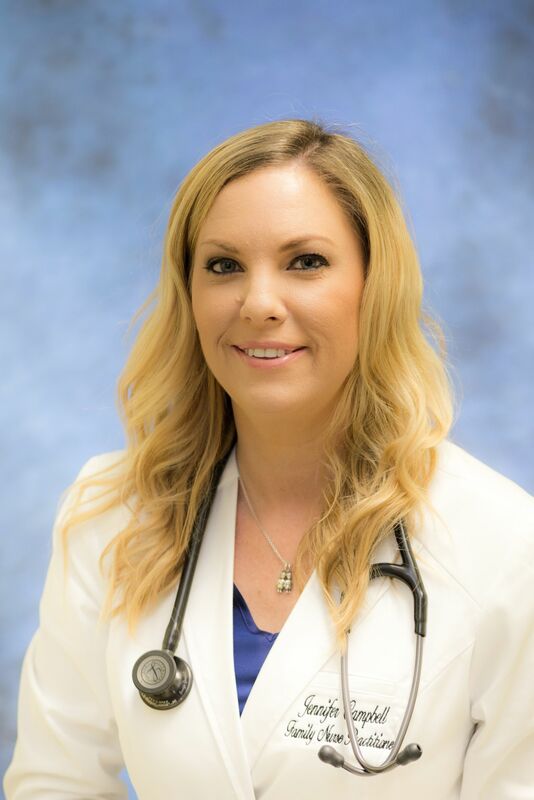 Shelly received her associate’s degree in nursing from Del Mar College in Corpus Christi, Texas and her master’s degree from Texas A&M University in Corpus Christi, Texas. She is a Certified Family Nurse Practitioner. Shelly is married to Edward and they are blessed with two wonderful children. Melissa Granberry grew up and graduated from Gregory-Portland High School. She received her Bachelor's and Master's degree in Nursing from Texas A&M University-Corpus Christi. She currently lives in her hometown of Portland, TX with her two boys. 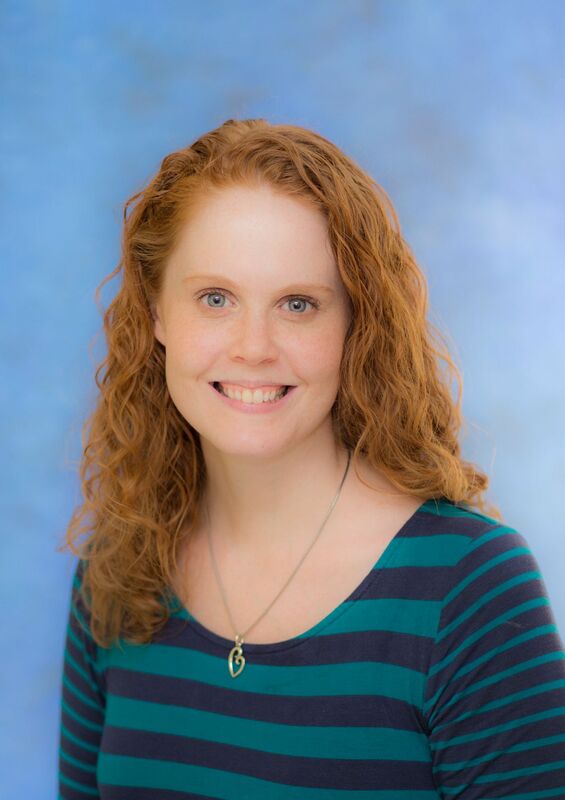 She is excited to join our team as a Certified Family Nurse Practitioner. Jennifer Campbell grew up and graduated from Gregory-Portland High School. 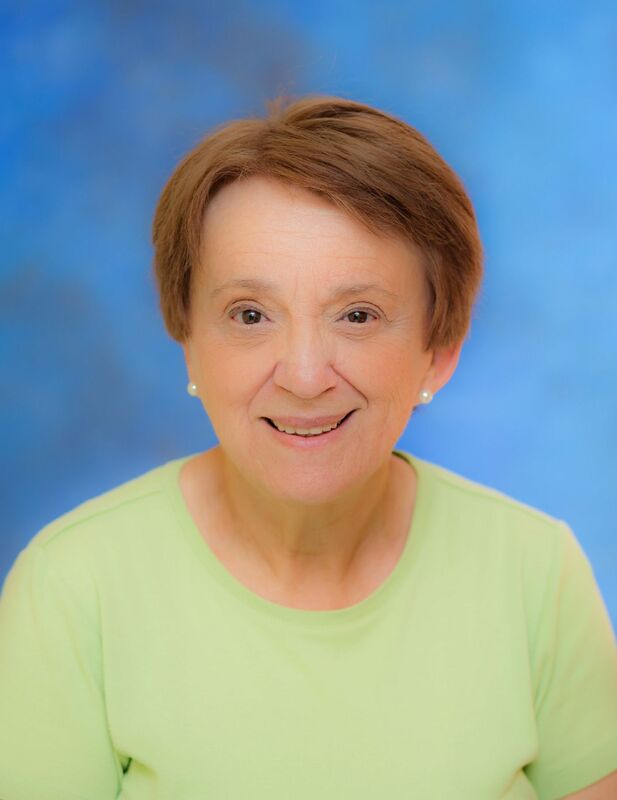 She received her Bachelor's degree in Nursing from Texas A&M University-Corpus Christi and her Master's degree from Maryville University in St. Louis. She currently lives in Portland, TX with her two boys. She is excited to join our practice as a Certified Family Nurse Practitioner.